As a hard-hitting high school football player, the heavy hit that sent Dr. Riley Cullinane to seek chiropractic care also set into motion a future career for him. When his local chiropractor had Dr. Cullinane back on the field within 2 weeks of treatments, he fully understood the important benefits of chiropractic care. 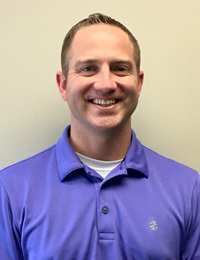 ChiroCenter Eden Prairie is fortunate to include Dr. Riley Cullinane. Dr. Cullinane is a graduate from Northwestern Health Sciences University in Bloomington, MN. Dr. Riley has a passion for helping families and individuals achieve their own optimal health with a balance of chiropractic care, nutrition and exercise counsel as well as healthy lifestyle changes. Dr. Riley has a passion for being outdoors and spending time with his wife Erin. He is engaged in the surrounding Eden Prairie community, and enjoys working with local athletes. When Dr. Riley is not in the office he enjoys multiple activities. Hunting and fishing, camping, spending time with family and friends, auto mechanics, and gardening. Give our Eden Prairie location a call to schedule an appointment today!